Chelsea defender Branislav Ivanovic has admitted that his former teammate Petr Chech is still better than his both current teammates Thibaut Courtois and Asmir Begovic. Ivanovic revealed in an interview that Cech is the best goalkeeper he has ever played with, reports from Serbian media Novosti. 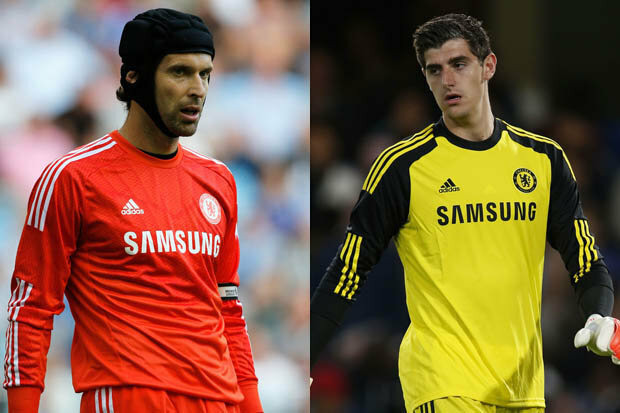 Cech is certainly better than Begovic and it is not a surprising statement from the Serbian defender but Courtois who has been rated very highly is still behind the current Arsenal goalkeeper, according to Ivanovic. Courtois has only made three appearances for Chelsea in the Premier League so far this season. He has been out with a knee injury and is set to return to action. Summer signing Begovic is currently playing regularly in every competition. The Blues fans believe that the Belgian keeper is one of the best keeper in the world. Cech who spent last season on the bench is now enjoying his football career once again at Emirates Stadium. The 33-year-old has been a regular keeper since joining Arsenal. He has proved more than the worth that Arsenal paid to Chelsea in the summer window (10 million pounds).